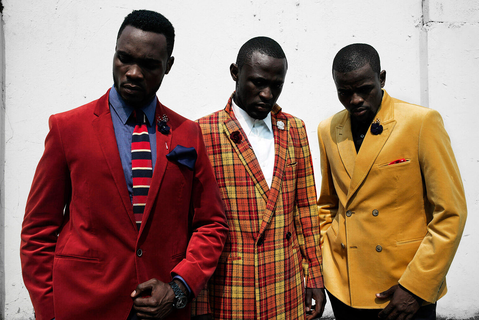 Colourful and self-confident, diverse and full of creative ideas: this is how the Swedish photographer presents his project dedicated to the fashion scene in Africa. From 2010 to 2015, he travelled to fifteen different countries, to document the world of the catwalk and, above all, behind the scenes. The outcome is a kaleidoscope of African fashion full of vitality, which is very different from the images of the continent that tend to dominate western media and magazines. Pettersson, who has been living in South Africa for many years, is the per fect ambassador for this surprisingly optimistic perspective, and his picture series do a convincing job of countering the false perception that Africa is, above all, a continent of crises and wars, full of poverty, sickness, ethnic conflict and devastating terrorism. Per-Anders Pettersson was born in Borås, Sweden, in 1967. He moved to New York in 1990 and to South Africa in 2000. He currently lives in Cape Town. In his over 30 year career as a photographer he has covered many themes, like the first Gulf War, and the conflicts in the Balkans, Afghanistan and Haiti. His documentation of over 30 African countries, including the hunger crisis in Ethiopia, the civil war in the Democratic Republic of Congo and the AIDS epidemics in Botswana and South Africa, has earned him many international awards. 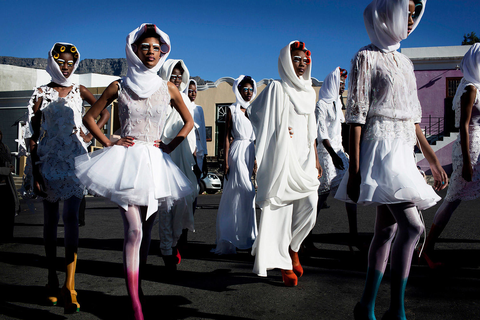 After the publication of Rainbow Transit in 2013, his photo book African Catwalk was published by Kehrer Verlag.